1. I have major moral qualms with the NFL and the sport of football as we, for reasons that seem to defy all common sense and scientific evidence, insist on continuing to play it, but despite my ethical misgivings, I still watched the Super Bowl. I’m not really sure how much longer I can keep up with that, though. I know taking my one set of eyeballs away from a game probably won’t be the straw that breaks the camel’s back, but doing anything to support an industry that willing puts people’s brains (and, by extension, lives) at risk for the sake of the almighty dollar feels…icky, to say the least. As far as I’m concerned, the commercials and half time show are the real highlights of the Super Bowl anyway (though I will concede that the Eagles’s trick play was also a highlight), and since those are all available online without having to watch the game, that seems like the better way to go about doing things. Regardless, I watched the Super Bowl this year, primarily for the commercials and half time show, but secondarily (or maybe equally primarily, even though that doesn’t really make sense) for the all-important tradition of overindulging in junk food during the Super Bowl. I got together with a few friends, and we had ourselves a feast of processed, fatty, salty, sugary goodness. It was fabulous. I discovered that groundbreaking idea at Jewel on Saturday, and didn’t have to think twice about whether or not it’d be an appropriate thing to bring to my Super Bowl get together. A cookie tray with FROSTING DIP?! Why don’t they sell these year round?? 2. I got my official Chicago Marathon results in the mail a couple of weeks ago, and almost immediately threw it away (well, recycled it, but whatever). It boggles my mind that the race puts together what essentially amounts to a magazine of the race’s complete results, especially in a day and age where all I had to do was open the race’s app on my phone while still stumbling through the finishing chute to get my results rather than waiting three and a half months to find out how I did. It can’t be a cost-effective endeavor and seems wildly unnecessary. But regardless, I decided before I got rid of the results magazine, I’d at least look up my name, be proud of myself for the briefest of moments, and move on with my life. I’ve never really paid any sort of attention to where I finished overall in the field, because when it takes you more than five hours to finish in a race with 44,300ish finishers, your overall finishing place is pretty irrelevant. But I was delighted to discover that, apparently, I came in exactly 28,000th in last year’s race! How about that! According to the unofficial online results, I came in 28,003rd, but I like 28,000th better, and that’s what the printed results say, so I’m going with it. So there you go: while it may not be necessary, I guess it’s still kind of cool to get printed results and all the other tidbits of information that come along with it. The Bank of America should sell the Shamrock Shuffle to RAM Racing. Hear me out: the race has not been doing well, at least from a finisher standpoint, for years. As I pointed out in my recap of last year’s event, there were 40 percent fewer finishers in 2017 compared to 2013. That’s a pretty massive drop in participation over not very much time, and it doesn’t take a marketing degree to see the many, many ways the race has tried to entice people to sign up, particularly over the past two or three years. There has been a marked increase in swag (they now give out medals, which have gotten nicer each year; one year they gave out branded Buffs in addition to the t-shirt; another year they gave out branded winter hats in addition to the t-shirt), there has been a marked change in pricing (from one flat rate to incremental pricing based on your date of registration), a marked uptick in pushing the charity angle (the 8K Charity entry, where you pay full price for the race, but part of your registration fee is donated to one of the race’s charities), a marked change in convenience (the ability to choose to have your packet mailed to you to avoid having to attend packet pick-up), and a marked change in event offerings, period (a 2 mile, untimed walk in addition to the timed 8K race). None of this happened in 2013, and my suspicion is that it didn’t happen because it didn’t need to happen. The race seemed to be a self-sustaining entity, until suddenly it wasn’t, and suddenly marketing became a lot more important. I am hardly the biggest cheerleader for RAM Racing, but here’s the thing: gimmicky, themed events are absolutely RAM’s thing. Cinco de Miler? Hot Chocolate? And it’s not like RAM doesn’t have experience putting on events similar to Shamrock’s current size. 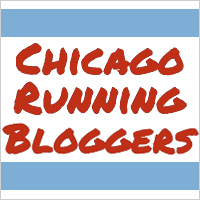 Last year’s Hot Chocolate in Chicago had 25,000+ finishers between the 15K and 5K. The Shuffle was just five runners shy of 20,000 finishers. You want to tell me the Shamrock Shuffle wouldn’t fit perfectly into that kind of portfolio? I think the smartest thing the Bank of America could do would be to unload themselves of the Shamrock Shuffle, focus all of their efforts on growing the marathon instead, either in terms of participants or in terms of prize purse offerings (bigger prize purse=better elite gets) or both, and let RAM take the reins of the Shuffle. The Shuffle already draws a way different crowd than the marathon–it’s much, MUCH easier to do a casual 8K than a casual marathon, after all–and I think the people you’d risk losing by selling the event to RAM would be more than offset by the people you’d gain by selling the event to RAM. I also think RAM would have naturally lower expectations for the event–if they’re used to staging 25,000-person events, it stings a lot less to have 19,995 finishers than if you’re used to staging 40,000-person events–and would be perfectly happy with the current field size. I watched the Super Bowl, even though I didn’t watch or pay attention to any football this year. It’s kind of a fun excuse to get together with friends, eat junk food, and have some low key entertainment that doesn’t cost any money after the food. Even though I didn’t have much investment in who wins because I don’t really care about these teams, I was rooting for the Eagles, just so we don’t have to endure endless weeks of media salivating on how God Must Have Spent A Little More Time on Tom Brady and Bill Belichick. I didn’t even look at my race results magazine. Don’t really need another reminder of my 12-minute personal worst, thanks! But I agree, I can’t imagine why they still do this, in 2018, and 4 months after the race to boot. I suppose it’s a cool if it was your first/only marathon, but there’s just not much you can really do with a clunky magazine, unlike photos or certificates that you can at least hang on your wall or display. I got one of these when I ran Grandma’s Marathon too and even though that was a huge PR I was super proud of, I would have rather them saved the trees. I was 100% rooting for the Eagles, too. I love a good underdog story, and I hate the Patriots, so that made it pretty easy to decide who to support, haha. You know, I don’t even remember getting a race results magazine when I ran the marathon for the first time? Maybe I did, but I have no recollection of it, and I don’t think I kept it if I did. I kept my mylar blanket, for goodness sake! I think that shows where these race results magazines fall on the sentimental value scale! Haha. I didn’t watch the Super Bowl, but I don’t watch football anymore. I was never really a fan, but lately with the concussions and the backlash to taking a knee and the domestic violence and etc etc etc … I have zero interest in supporting the NFL. That’s an interesting take on the Shuffle. Hmm. I bet we might even get nicer race shirts out of it.